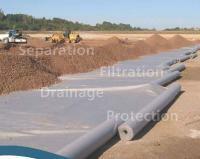 Geotextiles are permeable fabrics that act as a separation layer, and when used in association with soil, have the ability to separate, filter, reinforce, protect, or drain. 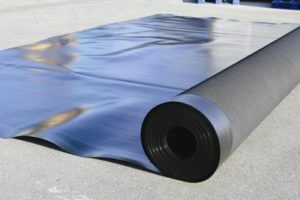 These fabrics are typically made from polypropylene or polyester. Geotextile fabrics come in three basic forms: woven (looks like mail bag sacking), needle punched (looks like felt), or heat bonded (looks like ironed felt). 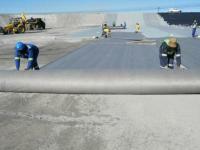 ?Geotextiles have many applications and currently support many civil engineering applications including roads, airfields, railway tracks, embankments, retaining structures, reservoirs, canals, dams, bank protection and coastal engineering. 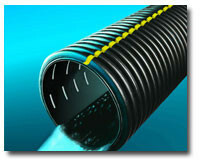 Under paving stones it will prevent any sagging, as the fabric secures the soil strength. 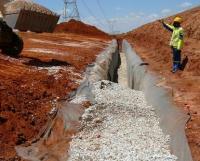 At home you can use it under gravel / kokoto drive ways, around pools and retaining walls and even house foundations. 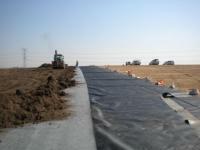 Geotextiles allow planting on steep slopes, further securing the slope. 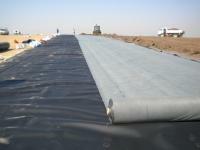 Usually geotextiles are placed at the tension surface to strengthen the soil. 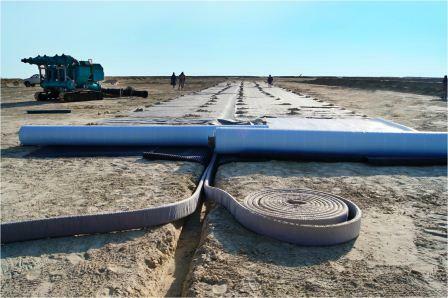 Geotextiles are also used for sand dune armouring to protect upland coastal property from storm surge, wave action and flooding.